I found the most interesting color palate today in showing a buyer client of mine a listing in Fernbank Elementary district. The home was a nice over sized listing priced accordingly to the condition. But think of this, how much would it cost to paint, say, 2 rooms? Maybe $500-$600? 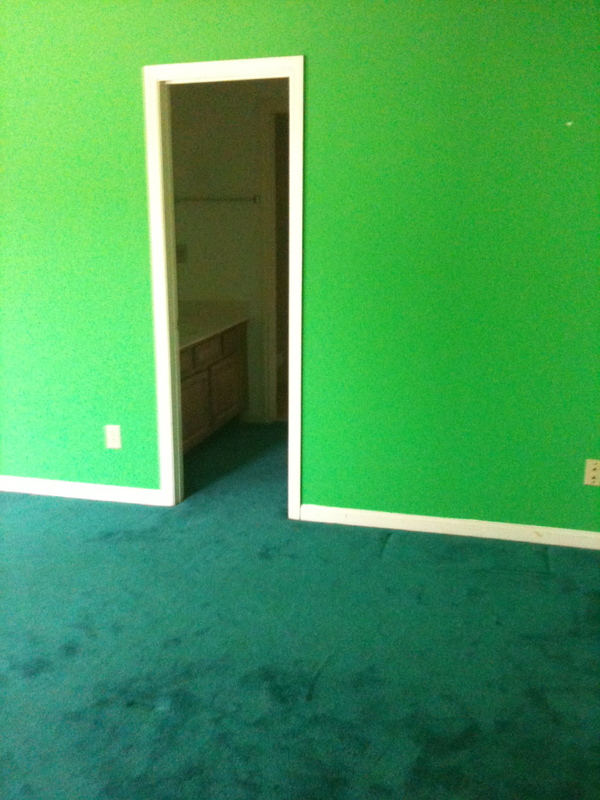 How much would it cost you off of your bottom line when a buyer sees this…..
A few thousand? Maybe 10? If a buyer walks into your home, your listing, they are appalled by the cosmetic choices you’ve made to well, personalize the home, you’ve just added 9 months to a year of sitting on the market because you didn’t want to make a palate for a new buyer, not including carrying costs, emotional exhaustion etc. This was the most interesting example I’ve recently seen of ‘bad choices’. I thought I’d share. Now, of course, price can over come this, but I know a lot of good, inexpensive painters that can keep Kermit from showing through and keep more money in your pocket.